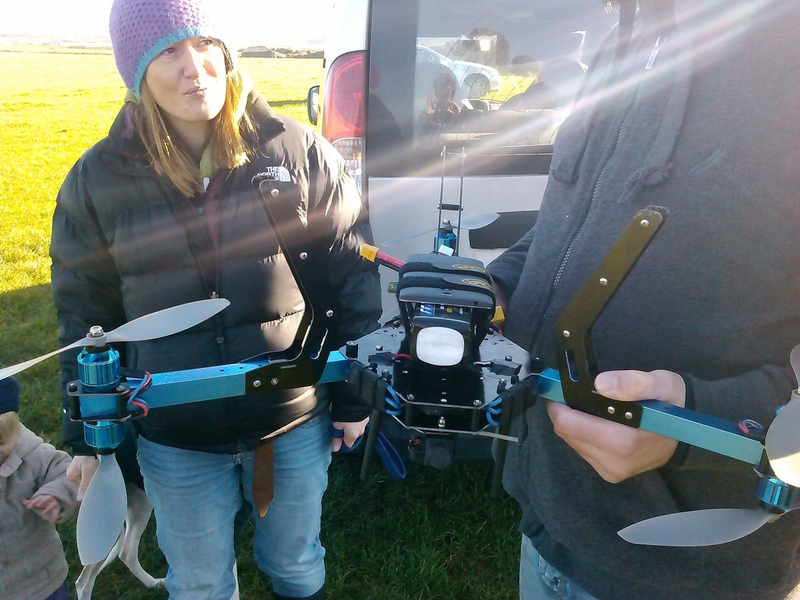 This autumn we are continuing work on the UAV toolkit with Karen Anderson and her research group at the Environment and Sustainability Institute. 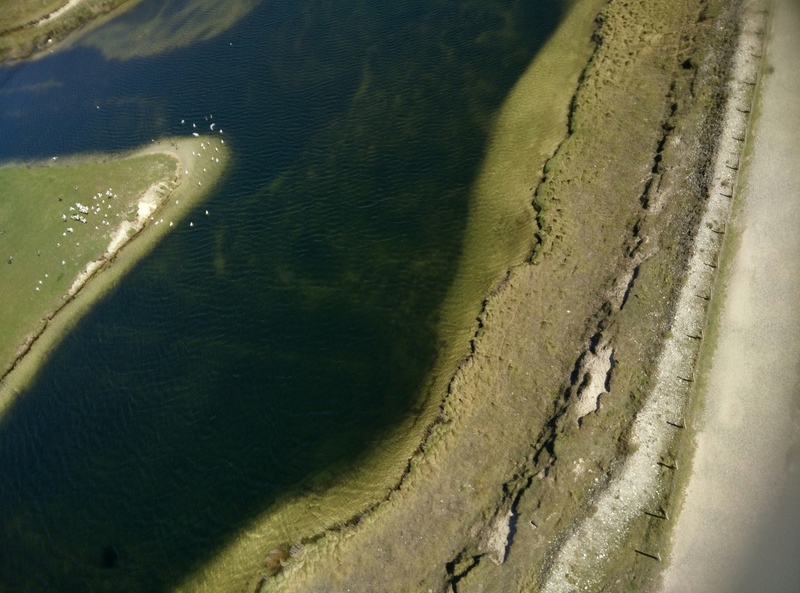 This time we have a mission to help the Westcountry Rivers Trust by coming up with fast and cheap ways they can build maps of farms to determine water run-off problems, which gives farmers proof they need to get funding to fix pollution issues. In order to make the software usable in this case, we decided on two directions. On the one hand there needs to be a simple way to start and stop programs (or “flight modes”) that read sensor data, as well as defining certain global settings, ie. 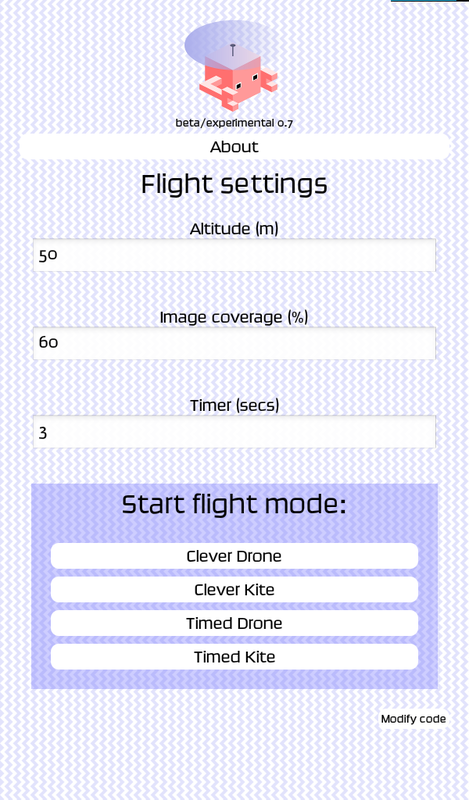 flight altitude, desired image coverage etc. 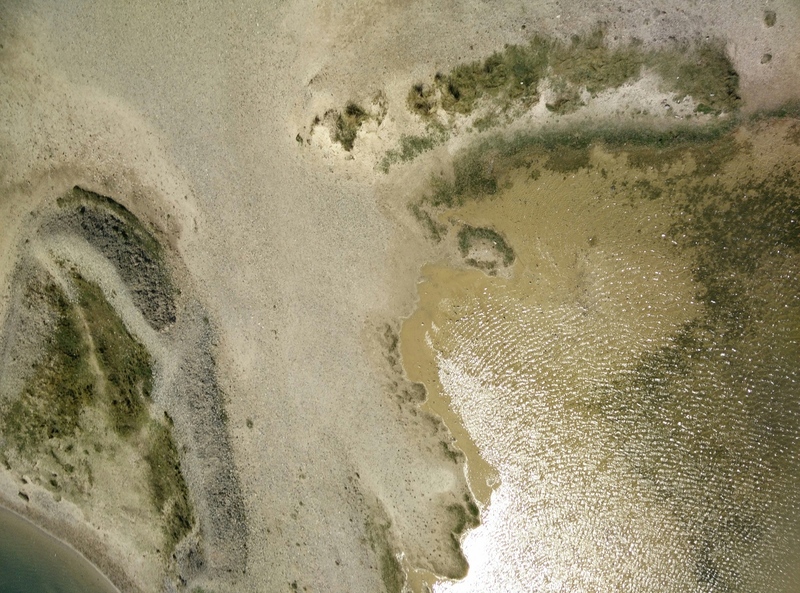 At the same time, the code to define what this does needs to still be programmable in the app – and more complex behaviours need to be possible to support both kites and UAVs. Our philosophy is that it has to be open ended, as we don’t know where the toolkit it might be useful (ie. crisis mapping situations) or what new sensors will be available on a device in the future. One specific set of new behaviours we need is for kite mapping. 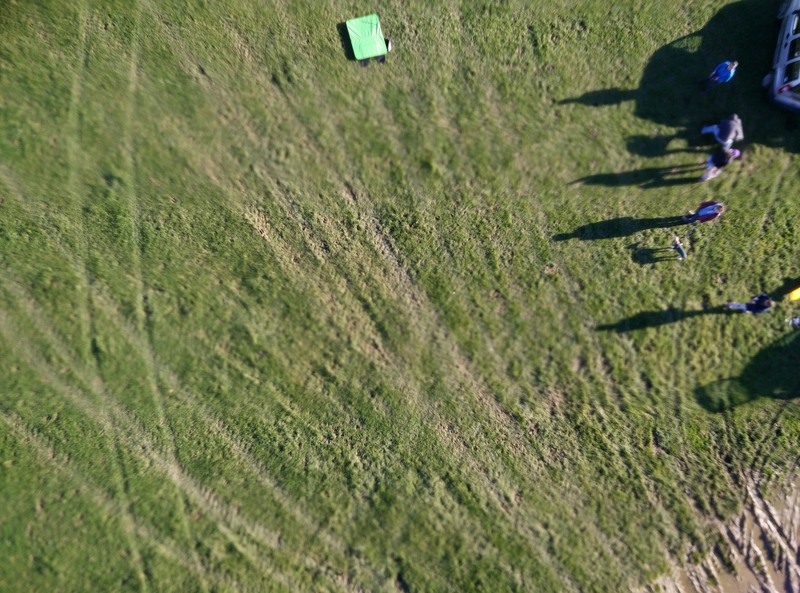 We already have the ability to choose when to take pictures based on GPS and altitude, but with a kite there can be lots of turbulence and the camera is in a much less controlled state, flipping around taking shots of the sky etc. 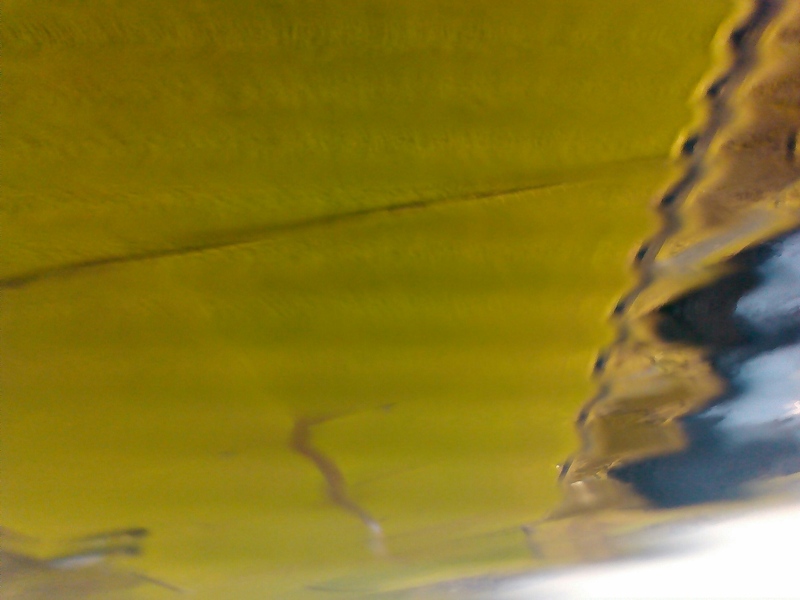 So we need to calculate things like jerk from change in acceleration and use orientation sensors to only take photos when the lens is pointing directly down, within some degree of acceptable margin. 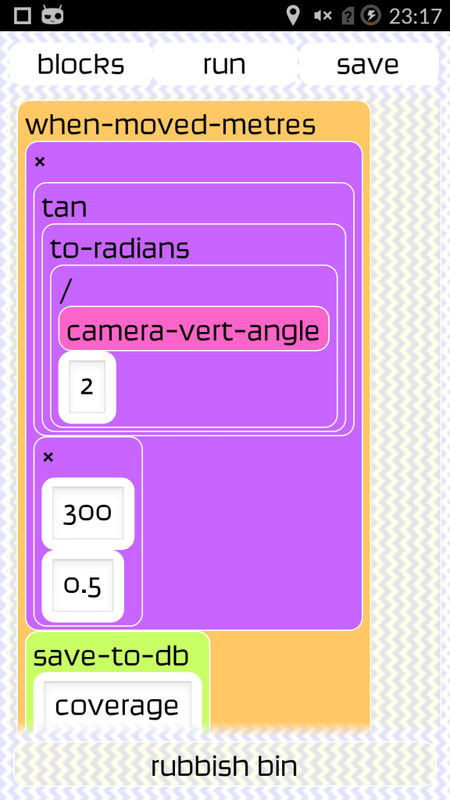 Below is a section of the code that calculates if we are pointing down using the magnetometer and accelerometer – the drag drop visual code can now be used to build normal Scheme functions using a touchscreen (a bit like scheme bricks). In fact I managed to do all of this work on the phone. There are now two types of code, the main programs or “flight modes” that you can run from the front screen, and a library of editable functions which they use. This means there are now three levels that the software can be used – using it without needing to see any of the code at all, editing the basic behaviour like which sensor’s data are captured, and finally modifying the more detailed code to make it do completely new things. Some further kite testing with UAV Toolkit last week at Gwithian beach, with a strong offshore wind (and rather good looking surf too). 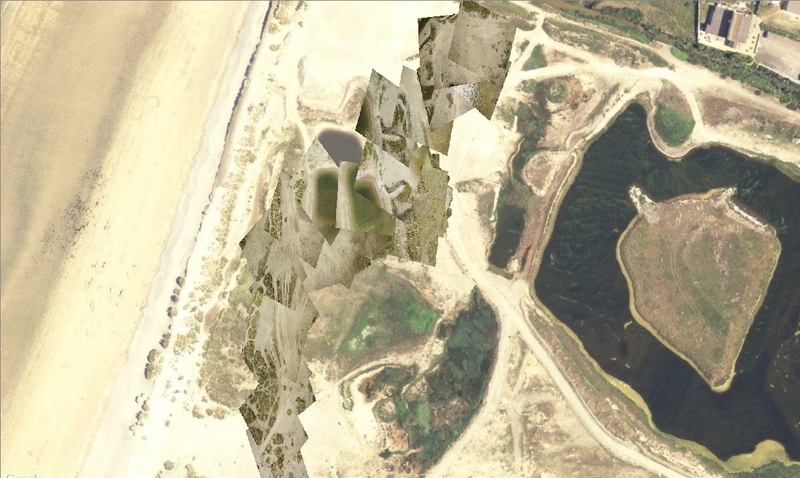 We managed to max out the kite altitude and get some great photographs including surfers and flocks of birds. See the previous kite post for more details on the kite. 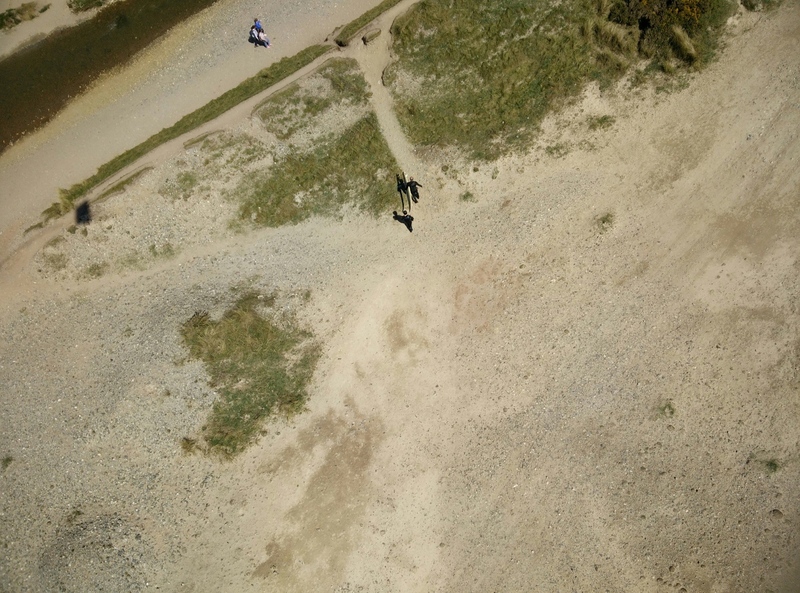 Some photos taken by the UAV toolkit on a recent flight at our gyllyngvase beach test site, using a KAP foil 1.6 kite instead of a drone. 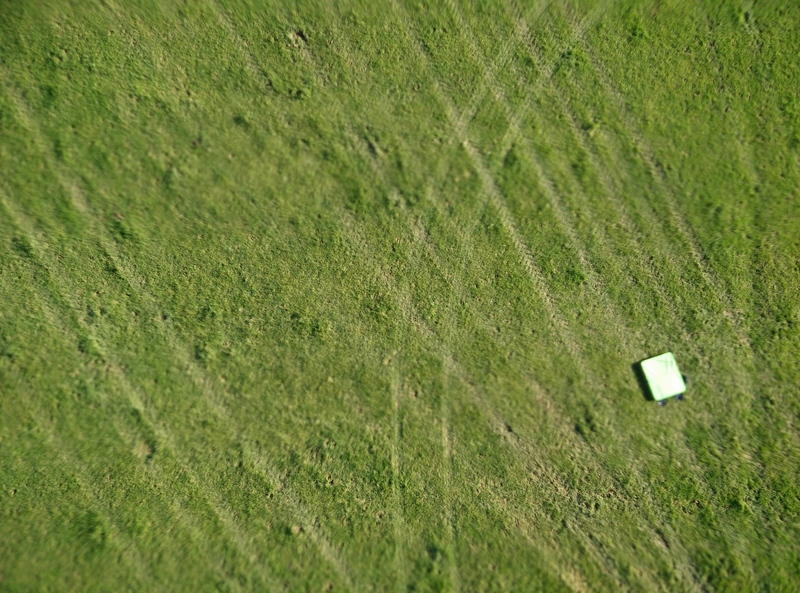 Kites have many advantages, no flight licences required, no vibration from engines and a fully renewable power source! 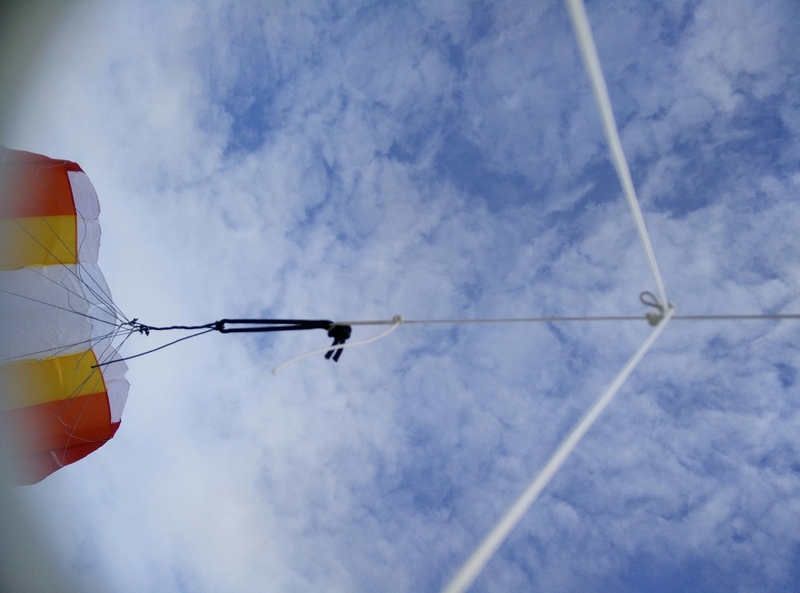 We’re using a 3D printed mounting plate for the phone strung from the top of the single line just below the kite. It needs more wind than we had to get higher altitudes but the first impressions are good. 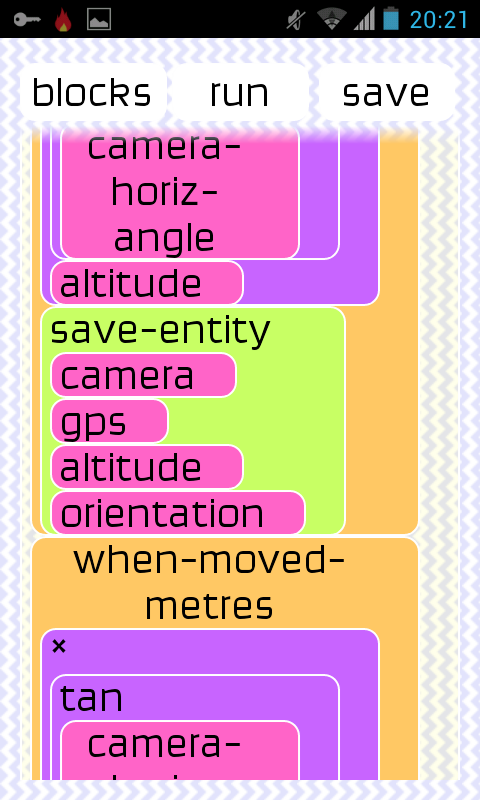 I’ve also added a new trigger mode to the UAV toolkit programming language that remembers the GPS coordinates where all the photos are taken, so it can build up overlapping images even if the movement is harder to control. 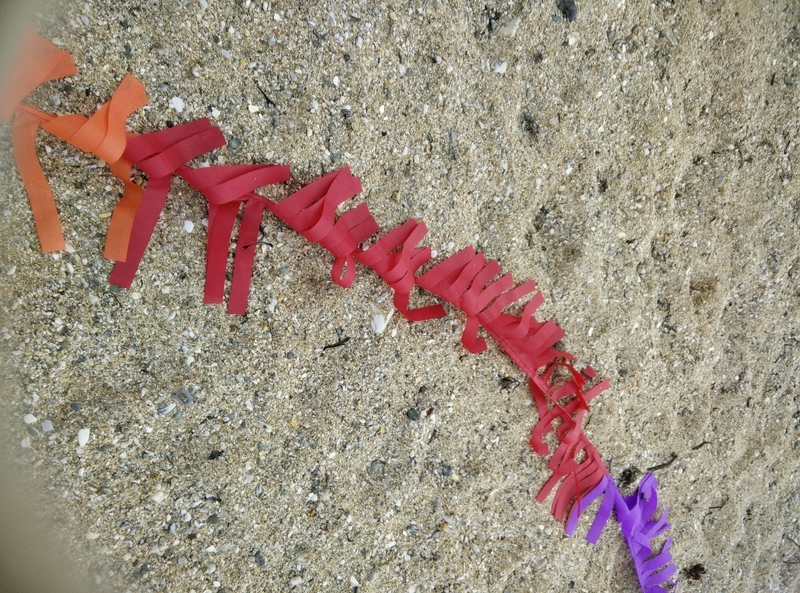 The tail of the kite – which turned out to be important for stabilising the flight. 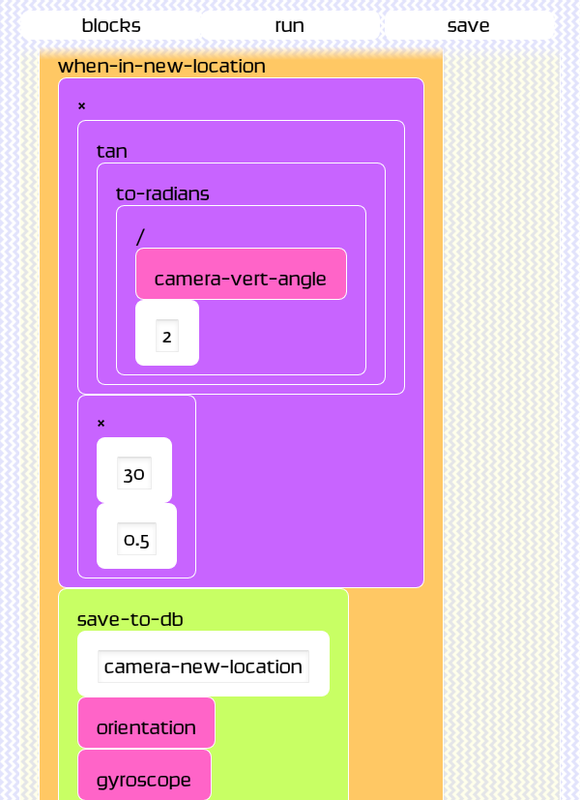 Here is the code using the when-in-new-location trigger to calculate overlap based on the camera angle, gps and altitude – which ideally should be driven somehow by the length of the line. As an aside, this screenshot was taken in the chrome browser which now runs android apps. 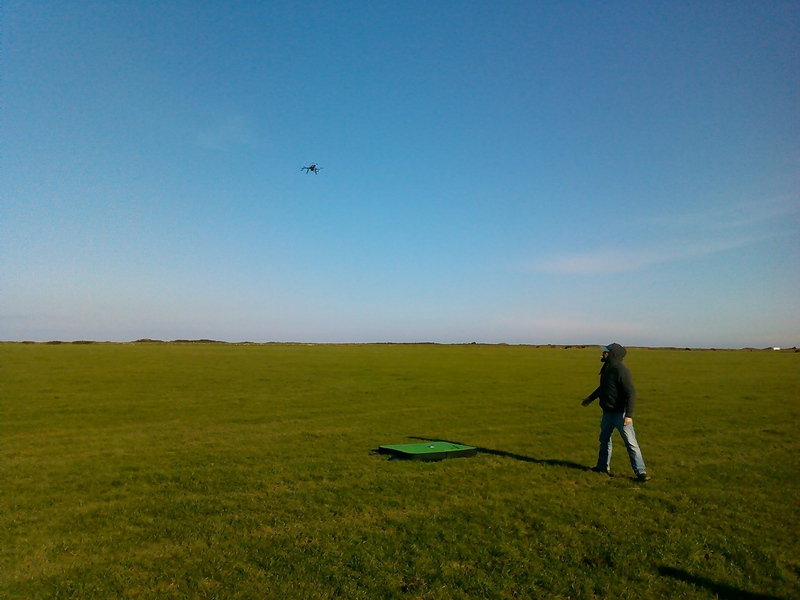 A report from the first flight test of the new UAV android software with the Exeter University UAV science group. 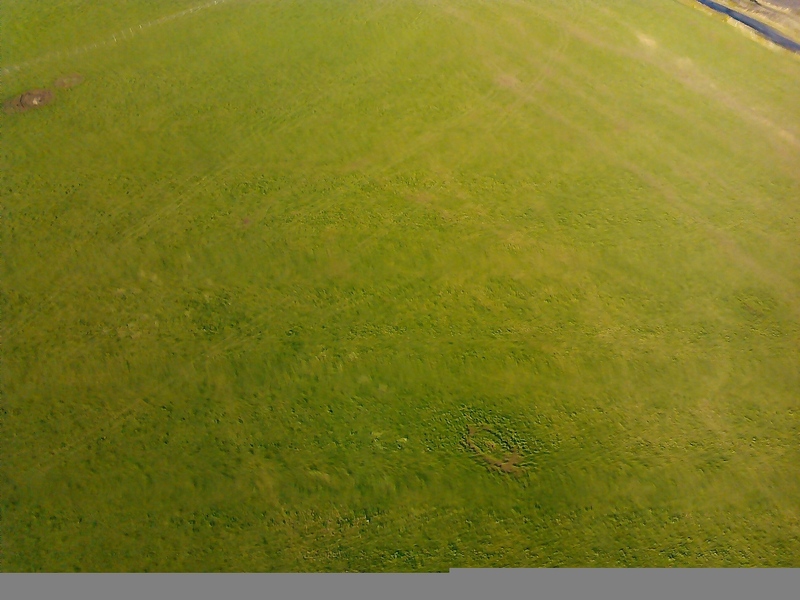 We had two aircraft, a nice battle hardened fixed wing RC plane and a very futuristic 3D robotics RTF Y6. We also had two phones for testing, an old cheap Acer Liquid Glow E330 (the old lobster phone) and a new, expensive Oneplus One A0001. 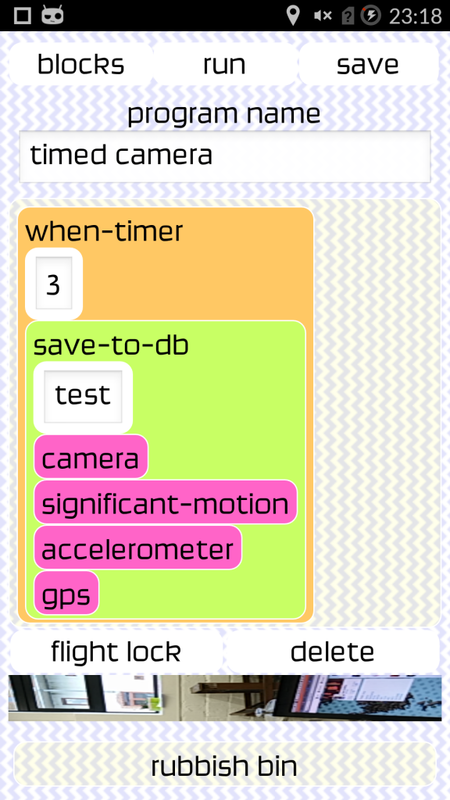 Both were running the same version (0.2) of the visual programming toolkit which I quietly released yesterday. Here is the high-tech mounting solution for the RC aircraft. There were a lot of problems with the Acer, I’m not sure if the GPS triggering was happening too fast or if there is a problem with this particular model of phone but the images appear to be corrupted and overwriting each other (none of this happened in prior testing of course :) Despite this, there were some Ok shots, but a lot of vibration from the petrol motor during acceleration. 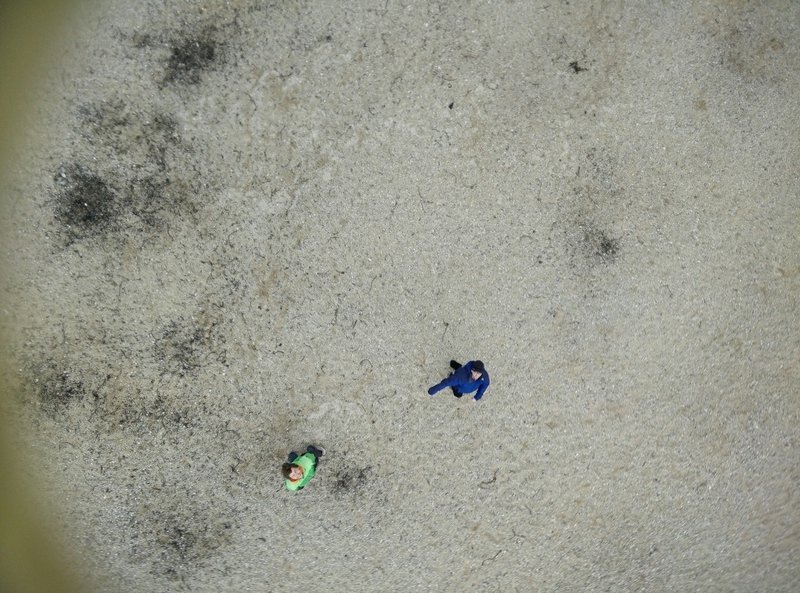 We tried two types of programs running on the phones, one triggered photos by a simple timer, the other used GPS distance, altitude and camera angle in order to calculate an overlap coverage. 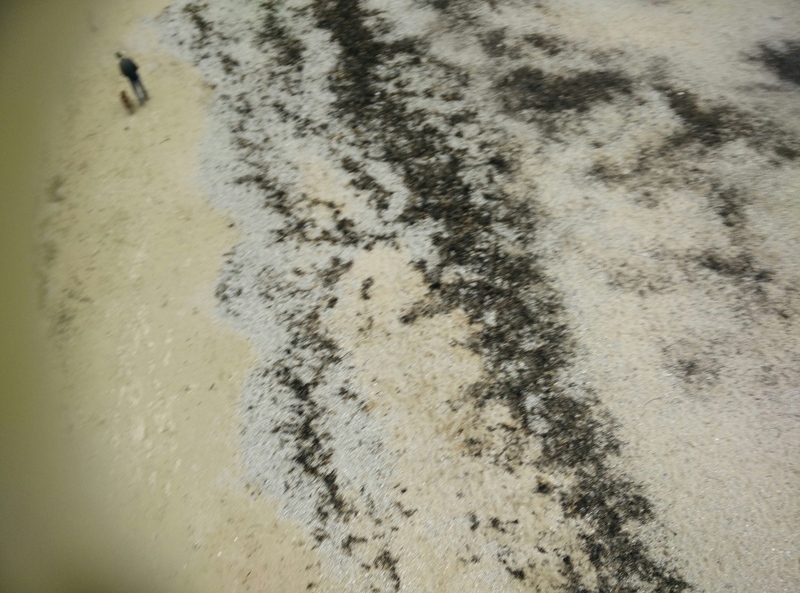 Both seems to work well, although I need to go through the sensor data for each image to check the coverage by positioning the images using the GPS. 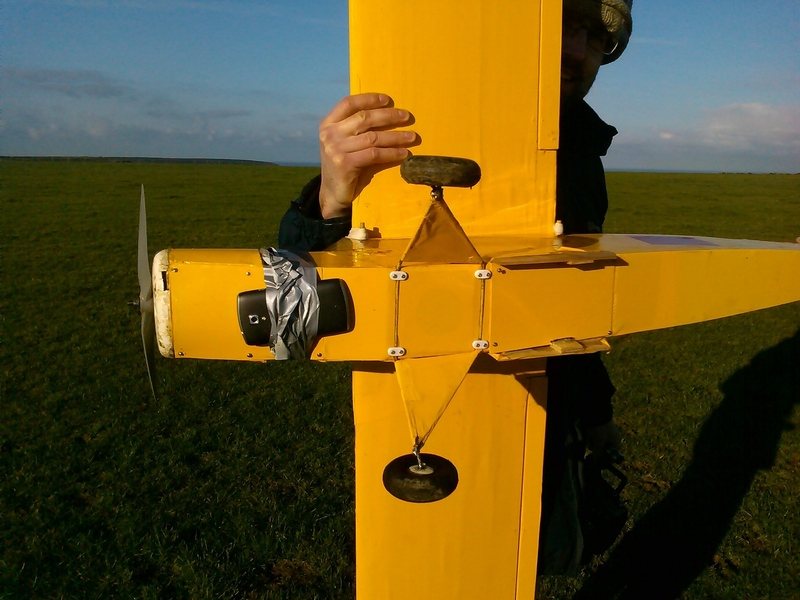 One thing I was worried about was the pitch and yaw of the aircraft – but with the Y6 this was extremely stable, along with the altitude too, which can be controlled automatically at a set height. The vibration seemed less of a problem on the Y6, but on one of the flights the power button got pressed bringing up the keylock screen which annoyingly prevents the camera from working. We did however capture lots of sensor data – accelerometer, magnetometer, orientation and gravity with no problems on the Acer. Cushioning for the phone (probably just a small bit of foam). Reproducing and fixing the Acer camera problem. 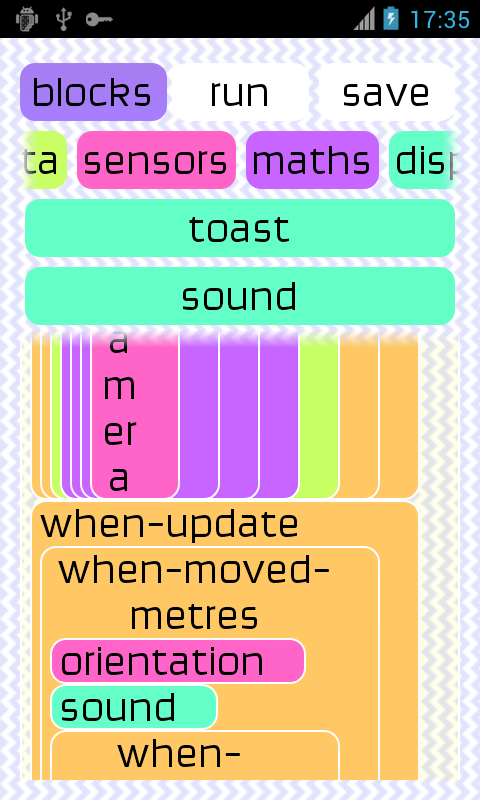 Some kind of audio indication from the phone that the camera is working etc. Try again to lock the keys on the phone or override the key lock screen. More camera controls, override and lock the exposure. Output raw files instead of running the jpeg compression in the air! This seems to take longer than actually taking the photo, and we don’t care about space on the sdcard. The blocks are all drag and drop and get converted into Scheme code which is run by a modified tinyscheme interpreter. 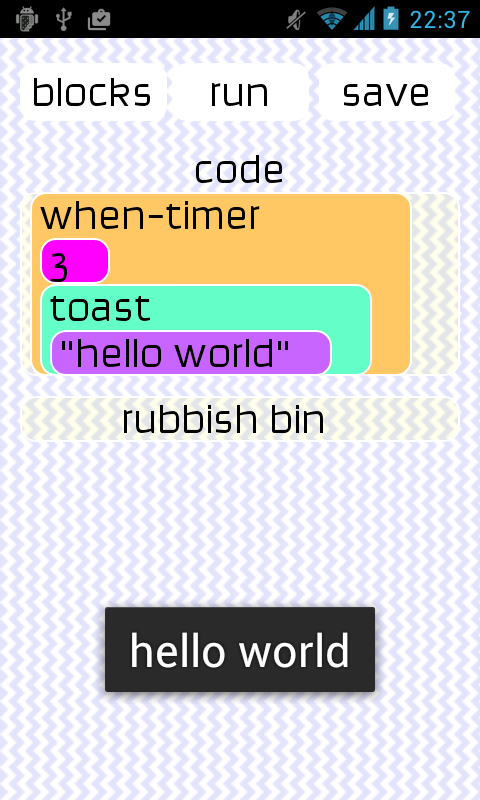 The code can be saved and loaded, and I’m planning to make it possible for people to share code via email. 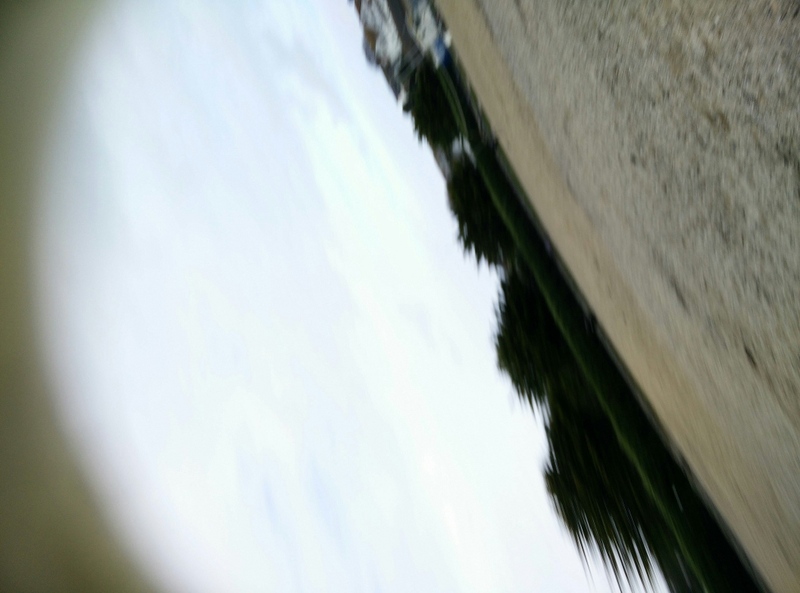 At the bottom you can see a squashed camera preview – I’ve tried various approaches (hiding, scaling to 0 pixels etc) but android requires that there is a preview somewhere in order to take a photo properly. 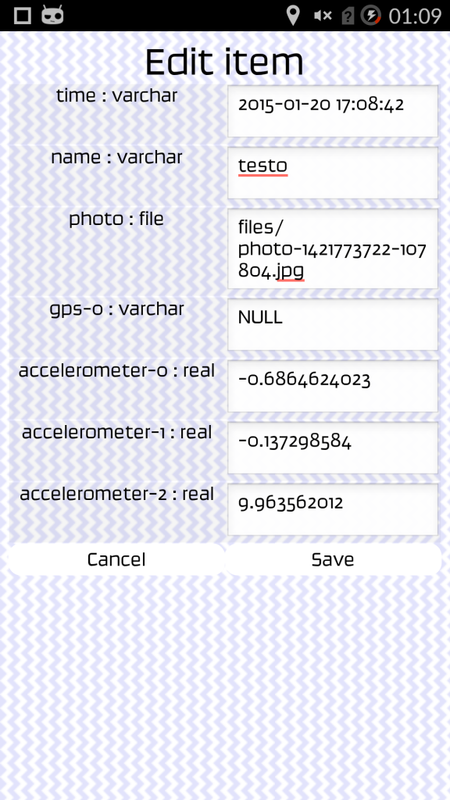 You can view the recorded data on the device too, for checking. 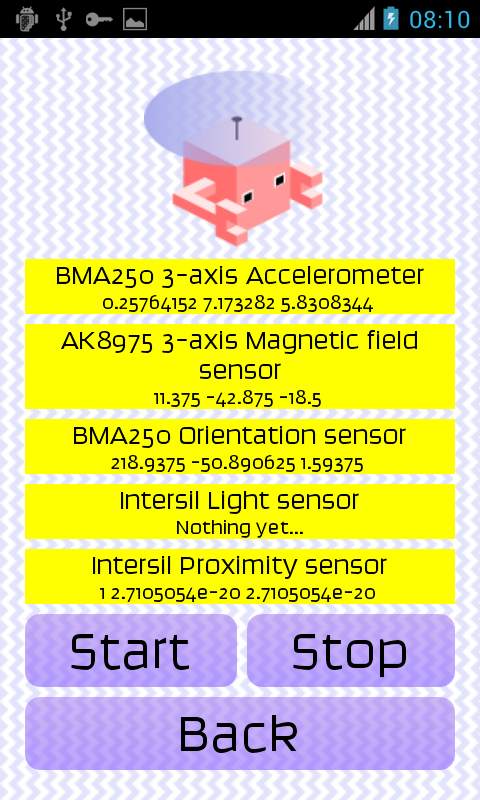 There is also a ‘flight mode’ which locks and turns off the screen, and ignores all button events. On some phones you need to take out the battery to stop the program running but unfortunately on others you can still use the power button to close the program.